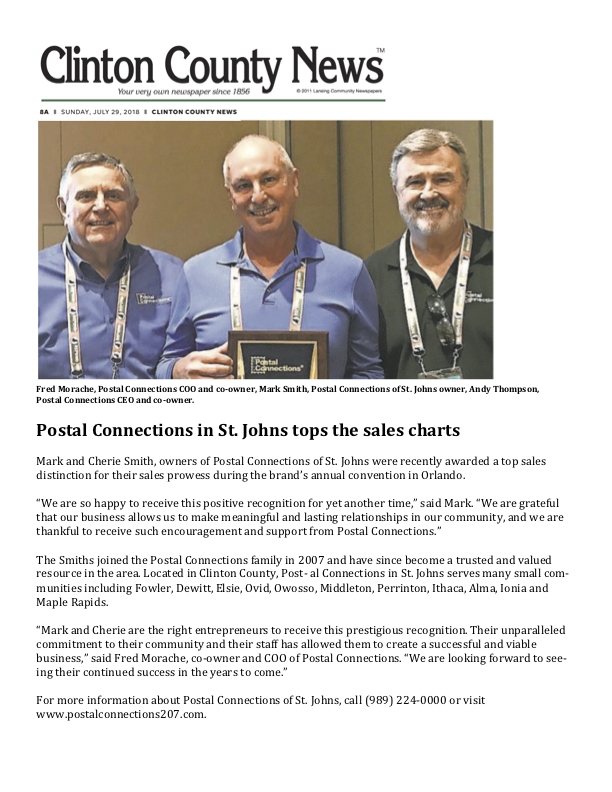 Postal Connections in St Johns tops the sales charts! Mark and Cherie Smith, owners of Postal Connections of St. Johns were recently awarded a top sales distinction for their sales prowess during the band’s annual convention in Orlando. 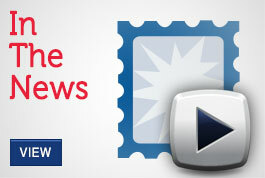 The Smiths joined the Postal Connections family in 2007 and have since become a trusted and valued resource in the area. Located in Clinton County, Postal Connections in St. Johns serves many small communities including Fowler, Dewitt, Elsie, Ovid, Owosso, Middleton, Perrinton, Ithaca, Alma, Ionia, and Maple Rapids.